Welcome to Calabasas Car Care & Agoura Car Care: homes of affordable tires and repair services. We sell Bridgestone, Firestone, Fuzion, and other major brands, as well as automotive repair services. We are driven to provide you with friendly service, quality Bridgestone brands, quality parts, reasonable prices, and fair labor. Here at Calabasas Car Care & Agoura Car Care we specialize in tires, brakes, alignments, shocks and struts, batteries, and much more! Our future success is determined by our ability to satisfy your needs. We're eager to earn your confidence. Stop in one of our locations today to see why so many of our happy customers continue to choose Calabasas Car Care & Agoura Car Care. 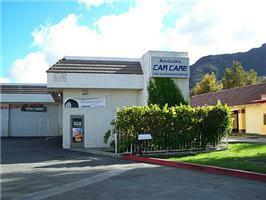 In addition to our Calabasas location, we are also located in Agoura at Agoura Car Care. Please feel free to browse our website or give us a call at either location. At Calabasas Car Care & Agoura Car Care you'll find ACDelco parts, ACDelco batteries, American Racing custom wheels, and more from proven brands, including Bridgestone, Firestone, Fuzion, and other leading industry names. Conveniently located in Calabasas, California, and Agoura, California, Calabasas Car Care & Agoura Car Care offers wheel alignments, brake service, shocks and struts, and other valuable services to get your car, truck, minivan, or SUV back on the road. Give us a call at (818) 880-2250 or drop us an email at info@calabasascarcare.com. We will get back to you promptly. Thousands of satisfied customers from Conejo Valley, rely on Agoura Car Care Tire Pros for all their automotive needs, and so can you!